The Data Sciences Group will help you find valuable insights from your data and provide recommendations on the essential metrics to track to get the most from your analytics moving forward. 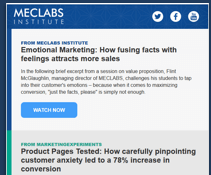 MECLABS Institute is a laboratory that uses empirical, relevant data to craft and teach Internet marketing principles. We discover insights that help leaders optimize the financial performance of their sales and marketing programs by utilizing the scientific method to create real-world experiments and then extracting successful principles based on the data generated by this experimentation. To ensure a consistently high level of scientific rigor in this experimentation, MECLABS’ Data Sciences Group utilizes a uniform test protocol and series of heuristics to help analyze real-world data and create new single and multi-factor tests that can reveal further discoveries. 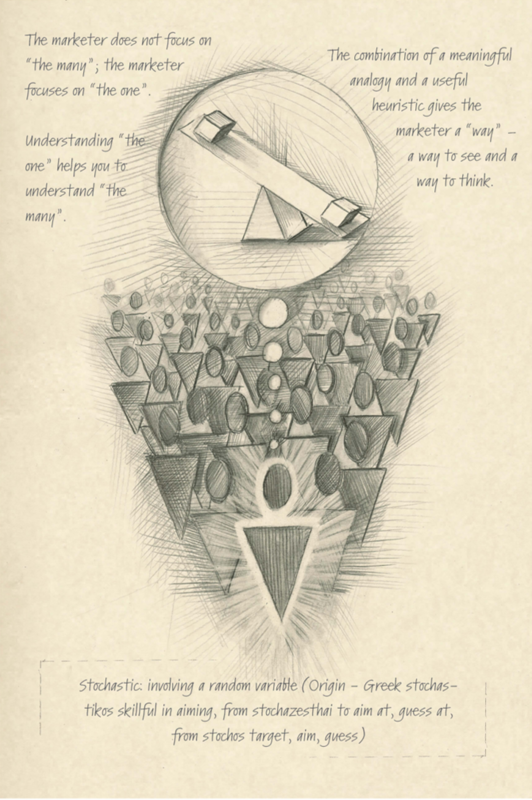 Creating the optimal message and process for the target customer is the essence of optimization. MECLABS meticulously studies all available historical data, from web analytics to transactional and demographic records, to understand existing customer segments. 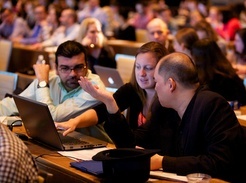 MECLABS is skilled in extracting data from most major analytics platforms and is a Google Analytics Certified Partner. Because we specialize in a scientific process of assessment and testing, we have the mathematical background needed to extract the needle insights from massive haystacks of data. We can perform multivariate regression analyses to determine whether given factors are predictive of future performance. We can help you to identify inherent biases within the data itself. Once you run tests, you will gain an entirely new set of data. We can help your company make that data actionable. After all, insights from your experimentation are not valuable unless you put them into action. We’ll take discoveries from your metrics to help you make decisions on your webpages, landing pages and emails while teaching your team how to use data to help ensure future decisions are based on what your customers really want. 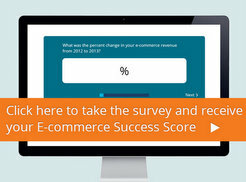 Take the 12-question Ecommerce Success Score Survey to discover how your performance measures up in ecommerce, no form fill required, based on an analysis of 4,346 ecommerce marketing professionals conducted by Dr. Diana Sindicich. MECLABS provides curated resources and services ranging from free Web clinics to customized optimization services — all based on customer-first science that has helped increase revenue for organizations ranging from Fortune 50 to emerging businesses.